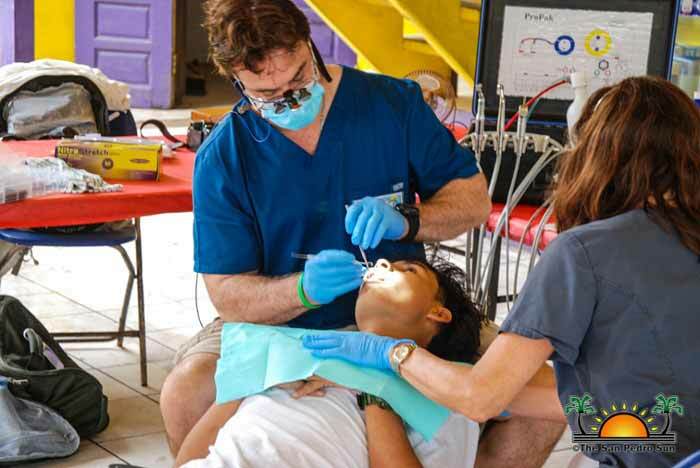 A team of dental specialists and volunteers will be in Belize providing free dental services for two weeks, starting Monday, October 23rd. The Belize Mission Project is a yearly program from the United States of America and has been coming to the country for the past 26 years. The first set of the American dental caregivers arrived in San Pedro Town on Friday, October 20th, and for the upcoming two weeks, they are expected to conduct dental work on patients at the San Pedro Lions Den on Barrier Drive. Island residents requiring dental care can visit the free dental clinic at the San Pedro Lions Den from 8AM to 5PM daily. It is advisable to ensure that you submit your name to the Belizean volunteers who will issue a ticket number to access dental assistance. The public is again reminded that the clinics are free of cost.